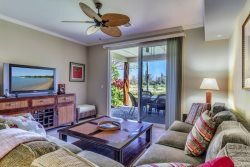 We are pleased to offer a large selection of vacation rentals with membership to the Hilton Waikoloa resort. Book any one of our participating vacation rentals and receive a pass to the Hilton Waikoloa for up to 6 registered guests. Unlike a normal Hilton Waikoloa day pass, these pool passes can be used every day of your vacation! These passes cannot be sold or purchased, they are included in your stay at participating ResorticHawaii.com vacation rental properties. Our program allows you to enjoy the comforts of a vacation rental with luxury resort amenities at the Hilton Waikoloa. Maximum 6 persons per pass (regardless of age). We do not have the ability to add additional persons to the pass. Users must be registered guests of ResorticaHawaii.com. The Hilton Pool Pass is available with the following participating properties for 2019.